Throughout the past five years Safe-T-Cover has made an effort to do our homework. We consistently stay aware of the current trends in the waterworks and backflow prevention industries. 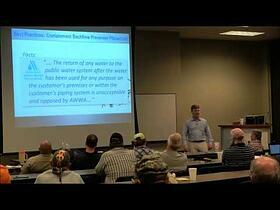 We keep up with the latest news and advancements in the backflow world. Our goal has been and still is to be a source of information for those looking to learn the best practices for backflow prevention design. Part of achieving this goal is to speak with and to those in the industry. This has been a hot topic in the field for years now. We've presented a continued education module to nearly 2,000 civil and plumbing engineers since 2014. The discussion may include a breakdown of the available backflow valves and how they differ as well as an in depth overview of the three main options for backflow installation. Please fill out the form below to request a speaker to come to your engineering firm or water jurisdiction to speak on these topics. 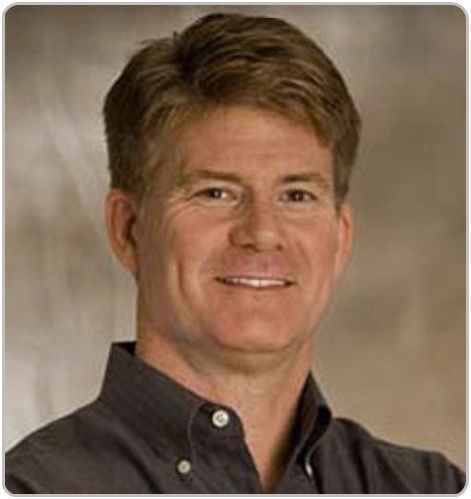 Mr. Wiley regularly works with design engineering firms and our network of US and Canadian sales representatives. He also has more than two decades of experience specifically in the backflow prevention industry with leading national backflow device manufacturers. He is knowledgable and qualified to speak on a number of topics from backflow installation and design to how to work with local water purveyors on integrating new standard details. Mr. Holland has been traveling across the United States meeting with design engineers and water municipalities for the past 4 years. He has gathered knowledge from all these views and more to create a uniquely complete presentation on the industry trends. This information has proved valuable to organizations in the waterworks and cross connection control industries across the country. Mr. Holland is regularly asked to speak at events run by the ABPA, ASPE, and others. Presentation to the American Society of Plumbing Engineers 2016 Covention and Exposition in Phoenix, Arizona.